For specific details regarding courses, please refer to the relevant Fact Sheets in the Courses section of the website. These FAQ's offer more general information about The National Finance Institute. Our Terms and Conditions section also contains information which you may find helpful, particularly regarding the Certificate IV course. Does the National Finance Institute close for the holiday season? We close for two weeks each Christmas and New Year period; exact dates will be placed on our website closer to the time. Minimal marking or issuing of certificates occurs during this period but access to online courses is maintained. If you submit anything during this time it will be reviewed in January. If you require an extension to complete your course, please use our extension form at this link. I can't log into my online course any more, what can I do? If you are still within your completion period, contact us and we can reset your login details. If you are now outside your completion period, you have 2 options: 1) click Extensions to put a 1, 3, 6 month or longer extension in place, or: 2) You may need to contact NFI as some courses do not have extensions available and you may need to be transitioned into the updated version of your course. I may need to refresh the cache on my internet explorer window so as to see my online courses - how do I do this? Do you offer courses by distance education mode? Yes, all our courses are offered by distance education mode. Can I study a course even if I'm not based in Australia? Yes, all our courses can be studied by online e-learning so you do not need to be based in Australia. Once you finish your qualification we would send your certificate to you by airmail and by email. Some of our students studying to be a BAS Agent or Loan Processor are based overseas but service Australian customers or businesses. What's the difference between online elearning and distance learning? Online learning provides for access to the course through a dedicated website, so all course content is accessible your computer 24/7. Our FNS40815 and FNS50315 online content allows for printing if desired but our other courses do not allow for printing of course content. If you wish to study from a hard copy (printed version) of the course then this is what we refer to as distance learning. Distance learning trainees also get online access but online elearning trainees do not receive any printed material. There are additional fees for studying by distance learning. What happens if I enrol in a workshop, but then can't attend? Please refer to our Terms and Conditions section. How does graduate placement work? If you let us know that you wish to be considered for graduate placement, you must provide us with a complete resume after you have graduated. NFI will then scan your resume and email it to our industry partners for consideration in employment. 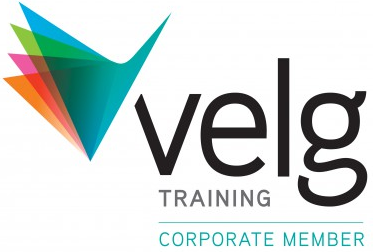 Do you offer training for larger corporate groups? Yes, we offer tailored solutions to corporate clients. 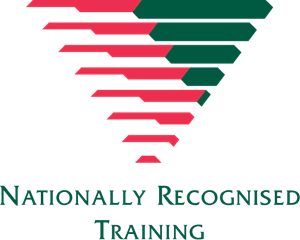 NFI can blend a course and contents to develop a training solution suited to individual or group needs. Click here for more details. When are exam timetables available for distance education students? There are no exam requirements with our courses. Instead we have online questions, exercises and case study assignments and projects. There is no requirement to attend a specific scheduled assessment day, you complete assessments in your own time at your own location. Will doing work experience help me to get a job? Yes, in most cases undertaking work experience demonstrates initiative and enthusiasm to potential employers, therefore increasing your likelihood of gaining employment. Do you provide specific course information on this website? Yes, you will find Course Fact Sheets in the Courses section of this website or on our Forms page. How do I find out about available jobs in the Mortgage Industry? Advertised jobs are only the tip of the 'employment iceberg'. To locate available jobs you should try to start networking within the Mortgage Industry. Attend industry functions, conferences and awards nights - get known! Perhaps start locating jobs in industry magazines, employment websites and employment agencies that specialise in the Mortgage Industry. We also have some leads available on link from existing companies seeking those with passion to join the industry. Can I speak to someone about NFI's courses? Yes, certainly! Please call Client Services on 1300 765 400 - we'd be delighted to hear from you. When do course enrolments close? You can find a schedule of proposed workshop dates by clicking here. We ask that you enrol in a workshop as far in advance as possible of your chosen course date. Distance education and online courses can commence at any time you desire. How do I enrol in a course? Click on the green Enrol Here button on any page, choose your preferred course/study mode, answer the enrolment questions and we will automatically receive notification of your enrolment. One of our team will then email you with all relevant details. If you are unable enrol through our website for some reason, a pdf version of our Course Enrolment Forms can be sent via fax or mail, or scan/email to NFI. Full details are provided at the bottom of the pdf enrolment form. The form can be found on our Forms page. How will my results be advised to me? You will receive your results via post, not more than four (4) weeks after you have submitted all your assessments. Certain online assessments will show results via the online platform. What if I don't pass my assignments? NFI's trainers are available for assistance by phone or email to help you if you encounter difficulty in completing your assignments. If you do not reach the required competency level on your first attempt, you can re-submit your assessment at no extra cost. We want to help you achieve success whenever possible. You will receive your Certificate once your assessments have been submitted and you have achieved Competency as determined by an assessor. We will forward this to you by post, within 4 weeks of your passing all of your assessments. We can also email a copy to you, ahead of mailing it, if required for membership/accreditation purposes. What is RPL and who can apply? RPL stands for Recognition of Prior Learning and can involve a mixture of prior learning, work experience, Credit Transfer for units already completed by study, either with us or with a different institution. For full details on RPL, please click here. Is the Mortgage Consultant Qualifying Certificate the same as a Certificate IV? The MCQC course is the name we previously used for our Certificate IV in Financial Services (Finance/Mortgage Broking). This course is now referred to as the FNS40815 Certificate IV in Finance and Mortgage Broking and is a nationally recognised qualification under our Registered Training Organisation (RTO) national provider number 31203. Successful completion of this course along with successful completion of the MFAA Initial Compliance Pack (incorporating Anti Money Laundering), will fulfill the education requirements for Accredited Mortgage Consultant status. I don't know whether being a mortgage broker is the right decision for me or not. Is there any way to find out what it's really like being a mortgage broker before I commit to doing the full course? We are happy to discuss this with you over the phone. You can phone us on 1300 765 400 Monday to Friday, 9am to 5pm. Will you help me get accreditation with the banks and other lenders after I have completed my course? Many mortgage broking groups (for example, aggregators and franchisors) arrange lender accreditations for their brokers. The provision of accreditation with lending institutions is at their discretion. For links to various aggregators, please see our Resources page. How can I make payment for my course? All course fees are in Australian dollars. Payment options are provided when you enrol through our website at the Enrol Here link. You can use any credit card through our secure eWay connection, or PayPal, or you can make a bank transfer (either through internet banking or by making a deposit at a St George branch). Bank details are provided after your enrol if you choose the bank transfer method. You can also send a cheque in the mail and once it has cleared you will be able to start your course. For all course payments we will issue the receipt by email. Where do I find out more information about refunds, transfers, policies, etc.? Additional information can be found in the trainee Handbook which, along with many forms, can be found on our Forms page.